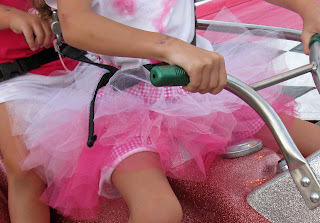 Tutus are so much fun to make and wear. For active little girls, however, they can be a bit immodest. To solve the modesty issue, we've "invented" tutu shorts. These are a breeze to make, fun to accessorize, and even more fun to wear! We made our shorts with the Quick and Cute Pants e-pattern, but you can easily create tutu shorts from ready to wear shorts also. The outfit pictured includes a our "tutu shirt", flower headband, and matching bear outfit. We've made tutu shorts with knits and wovens. You could also do this with capris or leggings. 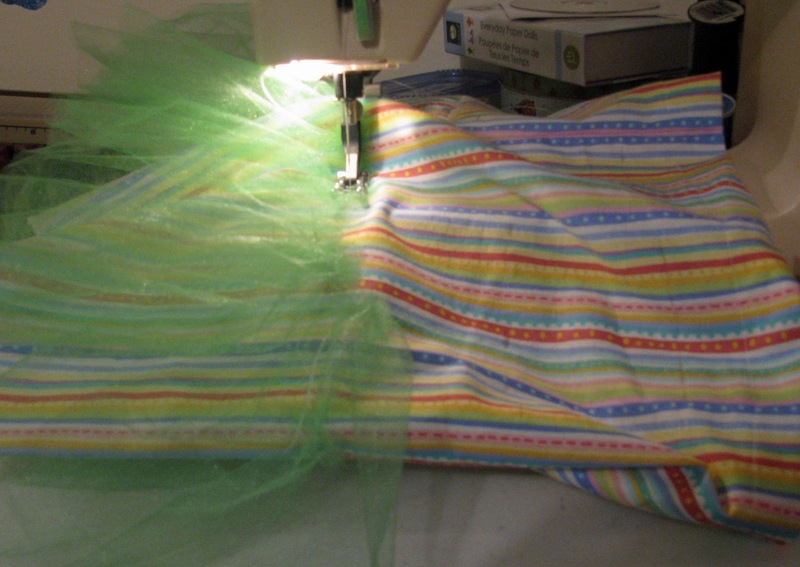 6" wide strips of tulle 4 X the circumference of the shorts for each layer. Hobby Lobby sells this in 6" wide rolls. One roll per layer is sufficient. The glitter type is "sticky" and not suitable for this project. (We used this for one pair.) We cut our own from inexpensive tulle at Walmart (for two other pair). 1. Measure and make layer placement lines. -put shorts on child and find the lowest straight place to draw a line. You want this placement to be on the flat part of the body, not on the curve going under the bottom. Mark this spot. 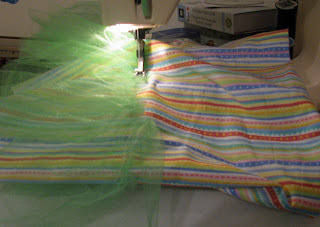 -remove the shorts and draw a line around the shorts for the lowest layer. -divide the remaining area in 1/2 and mark the line for the middle ﻿layer. 2. Gather the tulle strips. 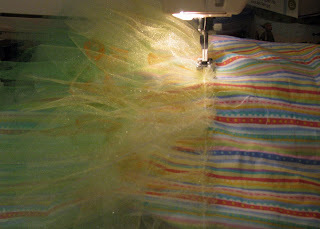 It's likely more than one tulle strip will be needed for each layer. 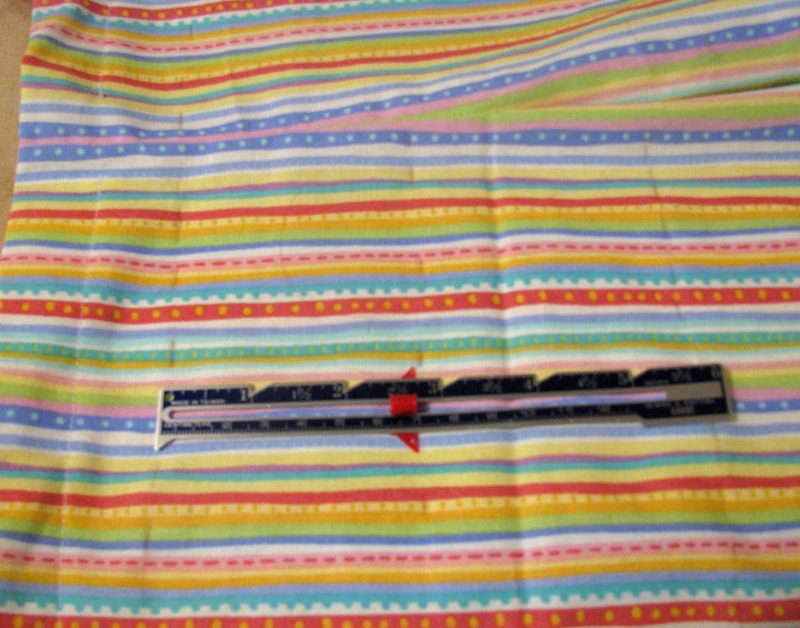 As you are sewing your gathering stitch lay in your next strip (overlapping about an 1") and continue gathering until the entire layer is gathered. If you use our gathering tutorial for this, you'll set your upper tension at 9 or 10 for tulle and still need to pull thread a bit to get the layer gathered enough to match the circumference of the shorts. Repeat gathering for all three layers. 3. Adjust gathered tulle layer to fit (close but a bit long is good) the circumference of the shorts. 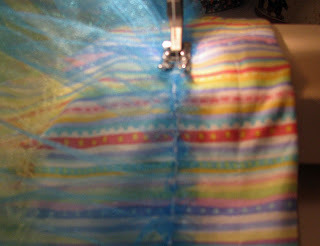 Sew the layer onto the shorts on top of the lowest line. Sew on top of the gathering stitch. 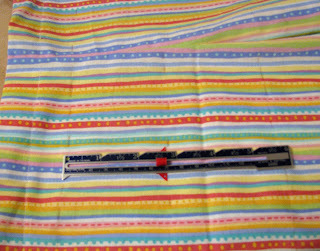 Sew all the way around the shorts overlap the starting point about 2" and cut off the excess strip. 4. 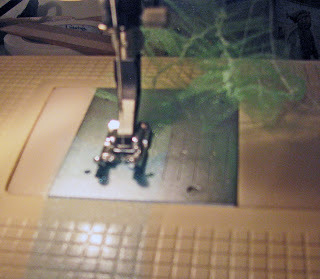 Adjust and sew on the middle layer. 5. Adjust and sew on the top layer. ﻿Have a great time with your tutu shorts!!!! Curly certainly does!!! Don't forget about the Miss Maria giveaway at Bless Their Hearts Mom Enter by April 11th. And, scroll down one post to comment for a chance to win an e-pattern of your choice in the "Follow Me Giveaway". 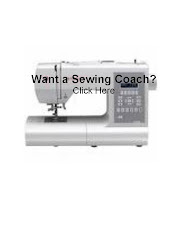 You need to be a blog follower and leave a comment including your email address to enter. How awesome is this! My little girl would love these. Absolutely a Fancy Nancy accessory! I would love for you to link up to my feature Friday linky party.